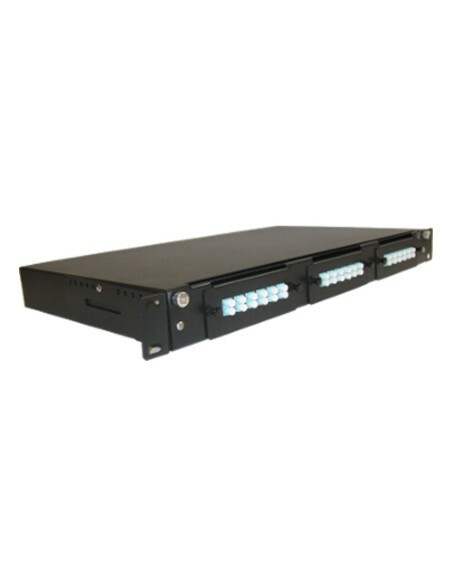 Shop Online you can buy Cables 24 Fiber Optic Cables next generation MTP MPO at a good price, we also have cassettes chassis modules MTP MPO OM3, OM4 and 19-inch rack trays MPO sale. 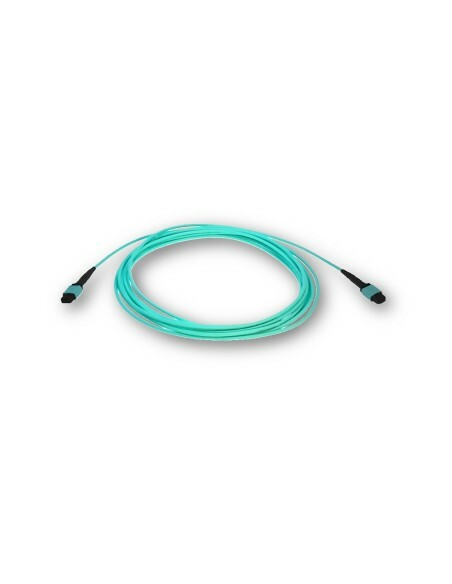 The design of the optical fiber connector MTP MPO allows the use of a matrix and optical cable plane which allows a very high density translates directly into cost savings due to reduced requirements of optical hardware and real space nodes telecommunications and data centers. (A MTP connector replaces 12 classic type connectors SC, LC, FC etc. That is, with 2 MTP connectors Substituting a classic tray 19 "classic 24 position connector). On the other hand, the need for increased bandwidth for servers, telecommunication and cloud applications, has brought the extension of the IEEE 802.3 standards. This extension includes a new protocol to operate 100 Gigabit Ethernet over OM3 and OM4 fiber. Technology parallel optical transmission compared to traditional serial transmission, it uses a parallel optical interface where data is transmitted and received simultaneously on multiple fibers. MPO There are 5 products. 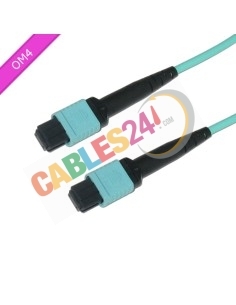 Shop Online Cables24, available for sale, multimode fiber optic cables, has an MTP connector pin guide faces with precision without lining the possible margin of error. The ferrule of a MTP / MPO connector multimode has a flat end. In Cables24 we assure 100% verification of all cables and that they comply with all dimensions and tolerances required for interoperability between products from different manufacturers. We are manufacturers, if you have not found the cable you need to buy please contact us and we will help. Shop Online Cables24 chassis for rack cabinets 19-inch cassette modules for fiber optic connector multimode mpo mtp, modules cassette MPO / MTP polarity A plug & play installation in modular multiport chassis 3 slots in 1U ideal for high density environments interconnection. Available for sale, good price and fast shipping. Multimode fiber optic patch cord 50/125 OM4 LSZH 12 fiber female MPO MPO female Polarization B ¡SPECIAL OFFER CABLE 10 METERS! 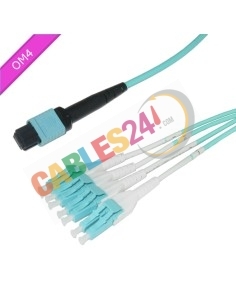 Multimode fiber optic patch cord 50/125 OM3 LSZH 24 fiber female MPO MPO female Polarization A.